This townhouse is conveniently located in a quiet cul-de-sac close to all amenities. Massive, private pie shaped south facing backyard offers open park like green space. 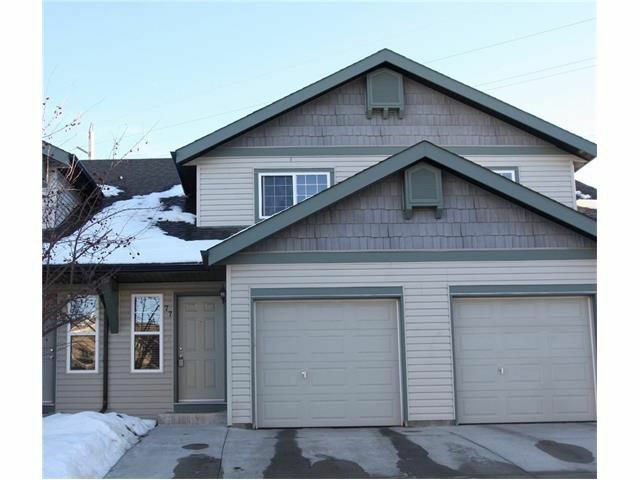 The main floor is an open concept plan with kitchen, dining, living room, & 2 pc bathroom. The kitchen has new stainless steel appliances, lots of cabinet space, & a pantry. Living room has sliding glass doors to the sunny patio. Upstairs you will find a large master bedroom with a spacious walk in closet, 4 pc bath & 2 additional bedrooms. This is also the only unit that offers the convenience of upper floor laundry. Having friends and family over is made easy with a garage & 2 additional off street parking stalls in front of garage, not to mention ample visitor parking. This home is just a short walk away from Shoppers, a playground, Starbucks, public transportation, & an abundance of other amenities.